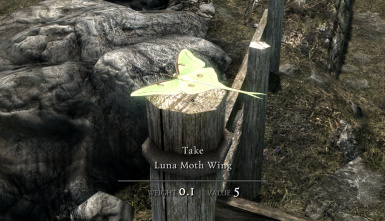 A total rework of the base meshes and textures of the moths and butterflies of Skyrim. Includes all new ingredient meshes as well as ingredient jars. Textures are 4x the size of the originals. Added Complete Alchemy and Cooking Overhaul or CACO mod compatibility. My mod was and is compatible from the start as it was designed that way in cooperation with Kryptopyr. 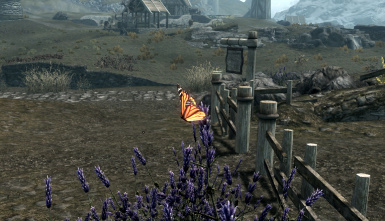 All this additional version does is removed the added ESP that was included in the Dawnguard version of the mod. By doing this it allows CACO to handle the problem of the double body harvest issue. If you already have the Dawnguard version installed you can simply deactivate the esp and let CACO do the job. 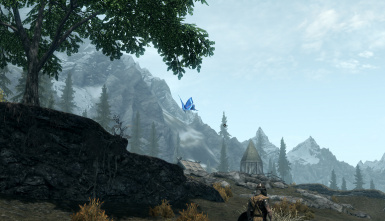 Separated the mod into two distinct versions, one of for Base game and for Dawnguard users. 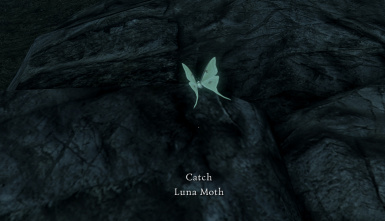 Also implemented a fix for the Crash To Desktop (CTD) bug that was discovered when gathering the Ancestor moths in the Glade when doing the main Dawnguard quest. 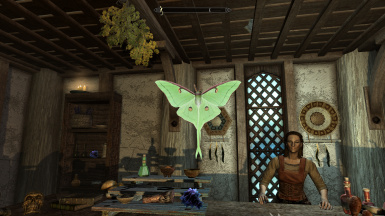 I was was also informed about and issue when harvesting moths and butterflies while using Melee weapons and shouts that gave you two full moth or butterfly bodies. This was simply and oversight on my part. I had forgotten that when when you harvest butterflies and moths the game would give you two sets of wings, but since my mod replaced the wings with full body meshes the player was getting two of these new meshes instead of just one. Kryptopyr was aware of this this issue and had already implemented a fix in her mod. She was able to make two patches to fix this issue. 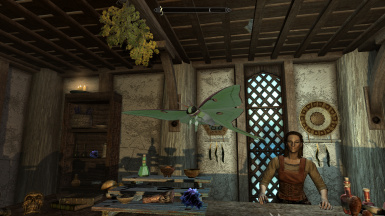 One for the Base game and one for Dawnguard. 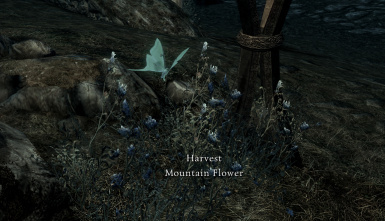 I have rolled these into the newest version of the mod and in so doing split the mod into two versions that cover either the Base game of the Dawnguard versions. The ESP files are strictly optional and do not have to be used if you are short on load order space. They have no barring on the mod other than fixing the harvesting issue. One last thing was brought to my attention while Kryptopyr and I were were working on the CTD issue with the mod, and it was I had missed a mesh that is used in the Glade. The Mesh that had moths flying in a column of light. I have since made the proper alterations to the mesh so that is matches the others and it has been tested and past without any CTD bugs. SSE before re-posting it. 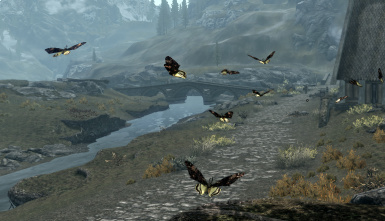 I have been testing my various mods in SSE to ascertain what if anything needs to be done. causes some confusion as to what its all about and it think it also why the mod was not excepted at G.E.M. next day or so. Thanks for the support and I am back to modding Skyrim. Lepidoptera, pronounced [lep-i-dop-ter-uh]is the family of insects that contains Butterflies and Moths. wing. The end result looked bad and we all know what it did to the Monarch ingredient wings. that the edges of the wings are more natural and don’t look like they were cut out with a pair of scissors. 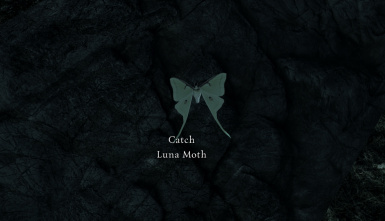 many more Butterflies and Moths for the game, but I never took the next step of getting them into the game. Ancestor moth to be based on something that had a powerful historical lore to it, and to make a statement. 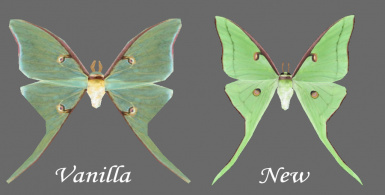 of the moths in the cloud assets used in the DLC to match as close as possible to the single free flying moth. 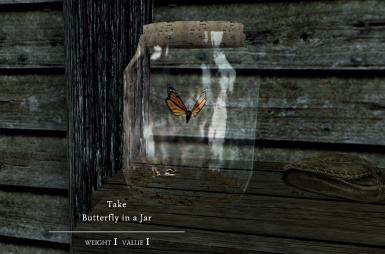 and butterfly in a jar as well and they are also included in this release. the Dragonfly and the Bee ingredients. It really does make more sense. 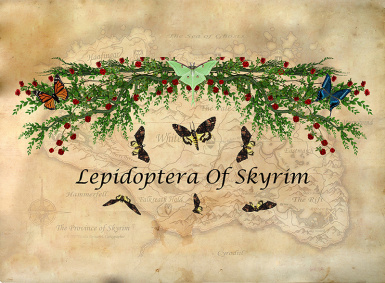 The rest of the various moths and butterflies I made I handed off to Kryptopyr to add to her upcoming mod. way I have separated the fore and hind wings UV-map makes lining up these wings a bit of a tedious task. his settings so that the butterflies and moths do not bump you out of the way when you come into contact with them. butterflies and moths you may want to remove it first. meshes, but mine have the same settings so that should not be an issue. use custom meshes, but the original base meshes and all re-texture work was done from inside the Creation Kit. 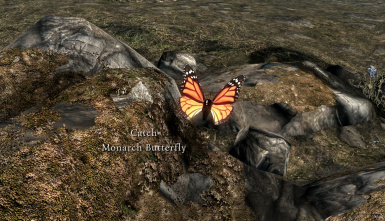 “Lepidoptera Of Skyrim” is simply not going to be for you. This is a one shot deal. I handed over all the other Butterflies and Moths to Kryptopyr so she could integrate them into her mod. on it and finish it. I think spending 3 years on and off on this mod is more than enough time spent. if not for her interest in a picture of the moths and butterflies I had posted this simply would have never been released. Thanks for prodding me into it. 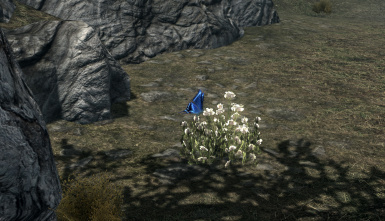 And of course Bethesda for giving us a great game, even if the meshes are not perfect. Hey they get it 95% right most of time. 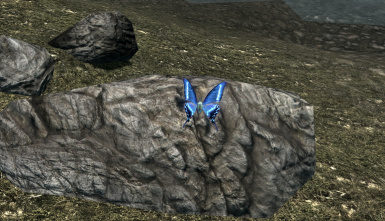 to cover the base Butterflies and Moths as Kryptopyr does not include them in her mod. 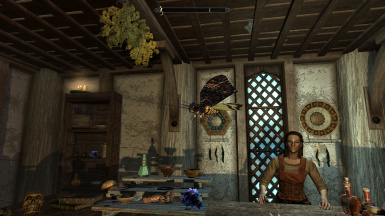 This is only for the Dawnguard version as it is required for Complete Alchemy and Cooking Overhaul. If you already using the Dawnguard version version you can simply turn off the esp file to get the same result. 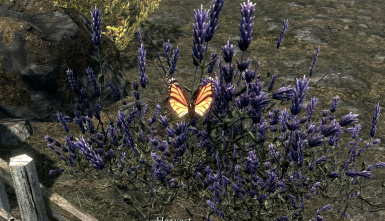 be aware that you you will get two moths or butterflies for each single one harvested. I believe that covers all the changes for now.